Chia Seeds are the richest plant source of omega-3 fatty acids. They also contain 42% fiber, 21% protein and are high in calcium. Chia Seeds provide iron, magnesium, and potassium equal to 3 bananas. They are a natural energy boost and when consumed they expand several times their size to assist in decreasing the feeling of hunger. Due to chia seeds fiber content they are effective for constipation and other intestinal problems. Chia seeds are also hydrophilic which means they are “water loving” and assist water entering your cells. This water-absorbing property makes it an excellent remedy for diarrhea. Chia seeds help the body maintain its fluid and electrolyte balance (which are thrown off when the body is suffering from diarrhea. Fluid balance is essential to kidney health. Kidneys are major detoxing organs that contribute to healthy blood pressure, body temperature regulation and beautiful skin). These seeds also support healthy weight loss, cardiovascular function, immune system strength, mental health, joint condition and much more. 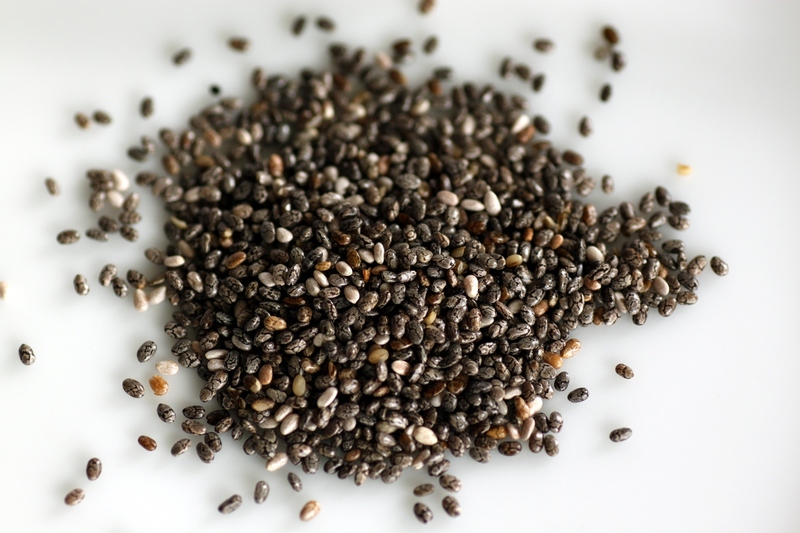 Chia Seeds may be consumed raw, ground, cooked, or as a gel. They can be added to almost any food to help create a feeling of fullness. Note: Chia seeds can cause allergic reactions in those with allergies to mustard seeds. The high fiber content can cause gas and bloating if you are HCL deficient. You may want to avoid chia seeds before bedtime because they are an energy-producing food. This entry was posted on March 9, 2015 by thrivecoach12 in Nutrient Values, Nuts & Seeds and tagged cardiovascular function, creates feeling of fullness, fluid and electrolyte balance, healthy weight loss, immune system strength, kidney health, natural energy boost, richest plant source of omega-3 fatty acids.